Grooming. Used to improve the overall appearance of your carpeting, grooming can help restore the pile and eliminate any matting. Drying. 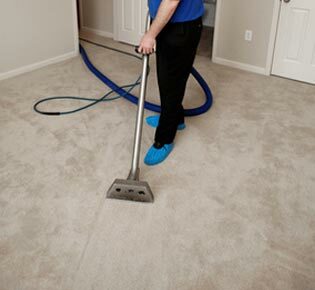 This is a critical step in the cleaning process, as a damp carpet can cause odors or accidents and attract soil. Most carpets take between two and six hours to thoroughly dry. Remember how your carpet looked the day it was installed? Its visual appeal is due largely in part to the cleanliness and fullness of the fibers. As life happens in your home, so do spills and stains in addition to foot traffic. A deep cleaning can refresh and renew the look and feel of your carpet and your home. Not all carpet cleaning services are created equally; choose a carpet cleaning company with a great reputation for service and excellence. At Maid in Hoboken we are dedicated to providing our clients with superior service. Give us a call today. Your carpet acts as a filter, trapping airborne particles, allergens and contaminants and preventing them from recirculating through the air. Like other types of filters, it will eventually reach a saturation point. For those who suffer from allergies this is of particular concern; carpets that can no longer filter allergens will reintroduce them with each step, reducing indoor air quality. While routine vacuuming is essential to removing surface dirt and debris, even the most powerful household vacuum can’t remove it all. A professional cleaning gets deep down into the fibers, releasing particulates and removing them for good.